Gynostemma pentaphyllum, also called jiaogulan,Chinese (Fiveleaf Gynostemma) Herbal Tea, is a kind of herb that grows in the southern mountains of China. More than 1, 000 years ago, ancient Chinese medical practitioner had already discovered it and has been using it as the main ingredient and formula for the treatment of a number of illnesses. This Jiao Gu Lan has very sweet taste without any bitterness. 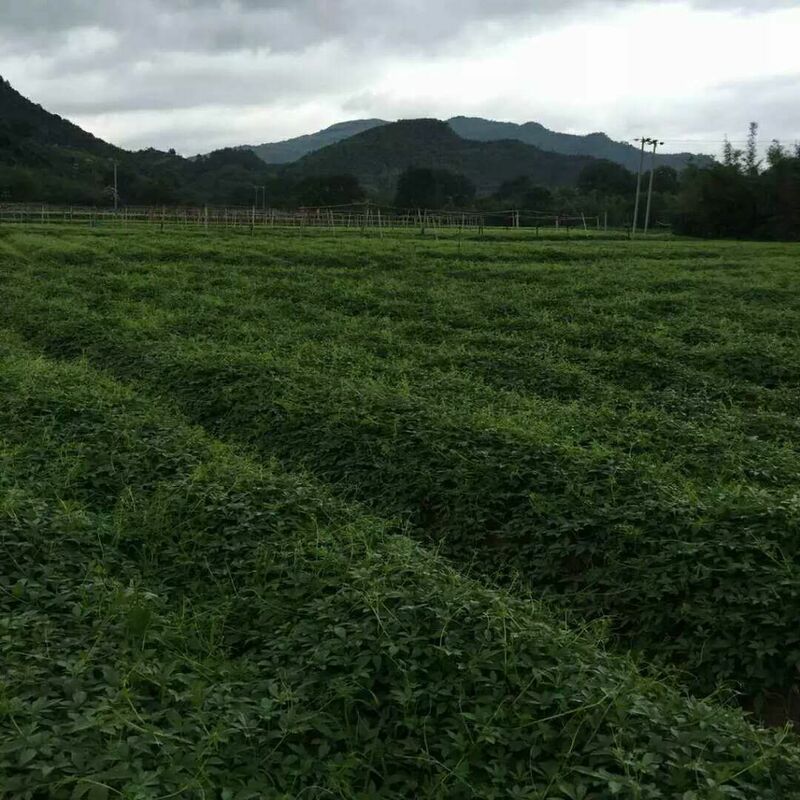 Guangxi Jiaogulan also named Fiveleaf Gynostemma Herb, Herba Gynostemmatis, gynostemma pentaphyllum makino or gynostemma tea, is a kind of immortality herb that grows in the southern mountains of China. Some people put it into green teas, but in China, it is a kind of herbs. More than 1, 000 years ago, ancient Chinese medical practitioner had already discovered loose leaf Jiaogulan and has been using it as the main ingredient and formula for the treatment of a number of illnesses. In 1252, both medical references"Famine Relief Book on Chinese Medicine" and "Native Chinese Plants" nicknamed Fiveleaf Gynostemma Herb roots as "Miracle Herb". 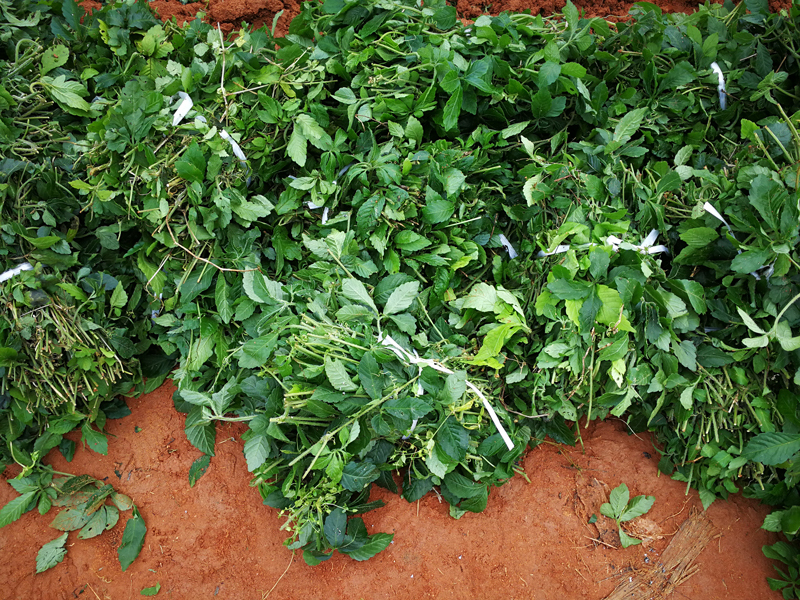 Its fame had spread globally; In Japan, Jiaogulan (Fiveleaf Gynostemma Herb) is also called "Good News Herb"; In the United States, it is named "Green Gold"; In Singapore and Malaysia, it is described as "Goddess of Health" and "Antidote for a Hundred Illnesses"; In China, Jiaogulan is named "Eastern Miracle Herb" and "Prime Ginseng", also known as immortality herb. Modern medical research had proven that Fiveleaf Gynostemma Herb has medical and tea properties, containing 83 Mono-Zaogan, including 6 Ginseng Zaogan as well as rich amino acid and mineral substances. Jiaogulan is mild in character with a sweet taste. 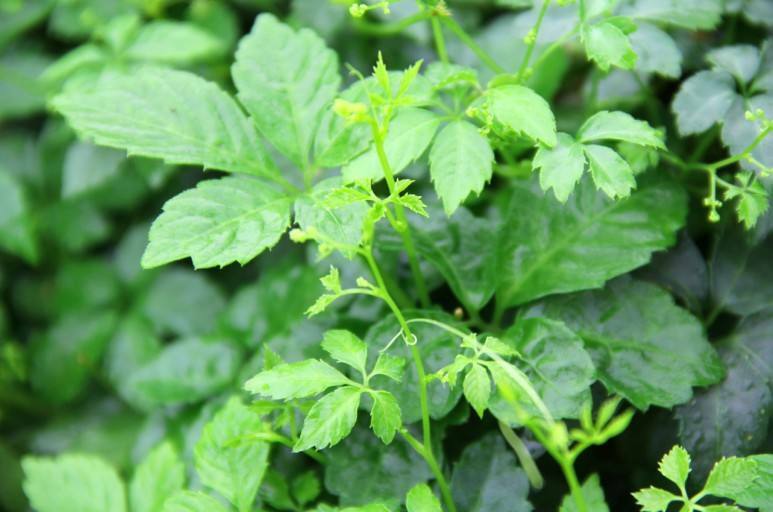 Extraction of gynostemma pentaphyllum is good for the spleen, alleviates fever, relieves cough, dispels phlegm, expels sickness and builds up strength. Jiaogulan as Chinese traditional medicine can also effectively reduce the blood cholesterol levels, inhibit oxidative stress, dissolve blood clots, prevents obesity, maintains blood pressure, control the development of cancer cells, improve our respiratory issues and athletic performance. 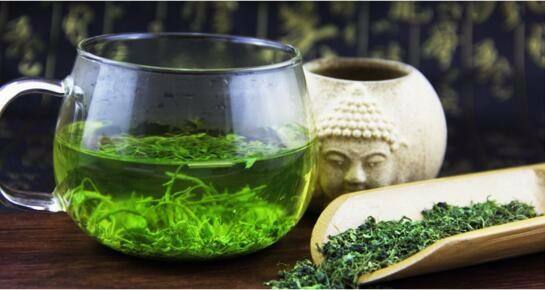 Jiaogulan can improve sleep, anti-aging, promotes longevity, and boost the human immune function. 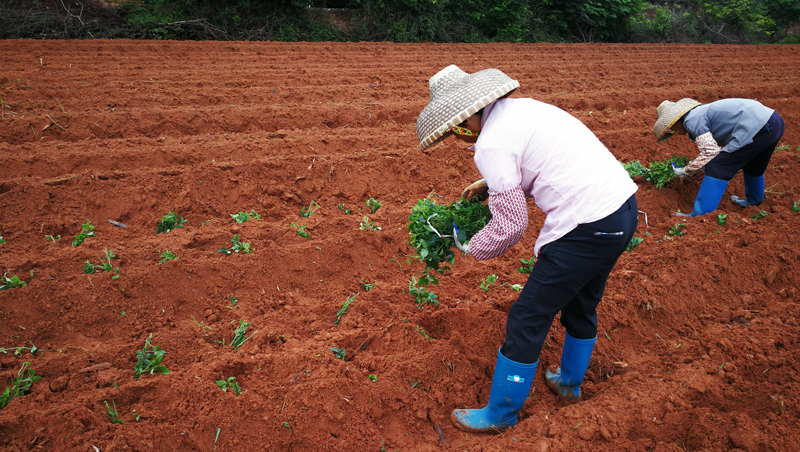 Our Jiaogulan is the export high standart, which meets the European Minimum residue level(EMRL), and exports tons to Europe every year. 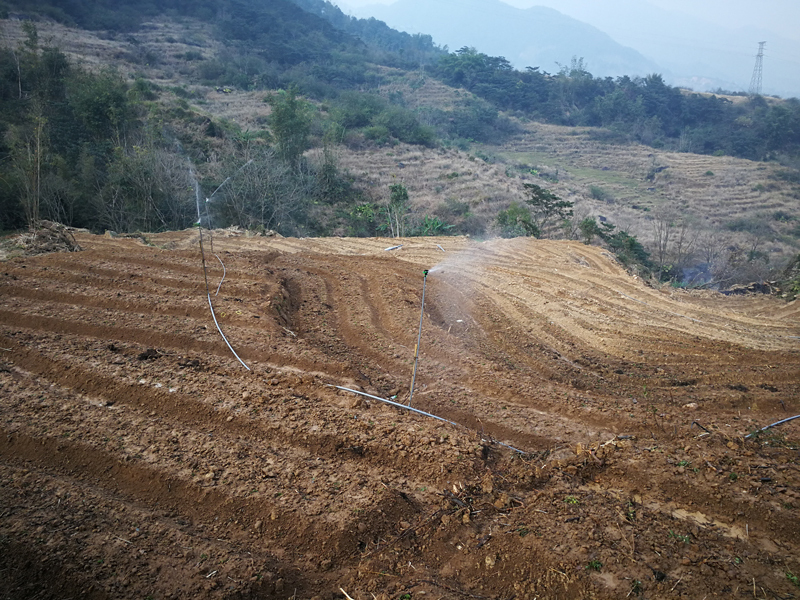 Perhaps the ideal time to drink a cup of wonderful natural product Jiaogulan will be early in the morning since it will provide you with energy for the remaining part of the day. Apart from this, consuming this loose leaf tea after dinner or lunch will also be a good idea since it will help you to digest the foods properly. Drinking jiaogulan tea often will do good to your body immune systems. For the protective effect of gypenoside, Jiaogulan is traditional chinese herbal medicine, helps to treat hypertension, high cholesterol, nonalcoholic fatty liver disease, bad cholesterols, chronic bronchitis, parkinsons disease and heart disease. In vitro studies indicate that jiaogulan is a potent antioxidant stimulates the release of nitric oxide in isolated heart cells, this is one proposed mechanism by which jiaogulan reduces high blood pressure, helps to relax the coronary blood vessels which maintain healthy blood pressure. Other studies have shown that jiaogulan is a good choice for cardiovascular health. Moreover, it can be employed for enhancing our stamina as well as endurance, improving our memory, enhancing our resistance to stress and anxiety and also preventing the loss of hair. Among the other uses, mention may be made of the treatment of persistent stomach ache, constipation, obesity, poor appetite, diabetes, insomnia, backache, malignancy, gallstones, and pain. Also, some individuals are known to use this incredible tea as an antioxidant, detoxifying agent as well as anti-ageing agent. For effects of gynostemma pentaphyllum, all in a word, jiaogulan gynostemma pentaphyllum is a Chinese traditional herbs can boost your immunological function. Is Jiaogulan good for weight loss? By replacing any beverage which is full of calories, traditional chinese medicine Jiaogulan will assist you in shedding pounds thus reducing your waistline in the long run. It will also provide you with energy which will be required for performing fat reducing workouts. According to one particular study conducted in 2006, it was shown that Chinese herbs Jiaogulan helps individuals suffering from fatty liver problems and also aids in reducing their BMI. Although there is no magical solution to lose a significant amount of weight overnight, Jiaogulan will definitely help you to achieve your goal over time along with proper diet and exercise. So, jiaogulan is good for weight loss. Are its health benefits is the same as that of Ginseng? No biological relationship exists between Jiaogulan and Panax ginseng. It has been found that the active ingredients in both these products are saponins. Moreover, scientists have found that gypenosidescontaining tonic as compared to ginseng, Jiaogulan consists of approximately 5 times the number of beneficial saponins. However, both Jiaogulan and ginseng are known for their antioxidant and adaptogenic attributes. It has been found that gynostemma pentaphyllum extract happens to be more powerful than Ginseng when it comes to the benefits. 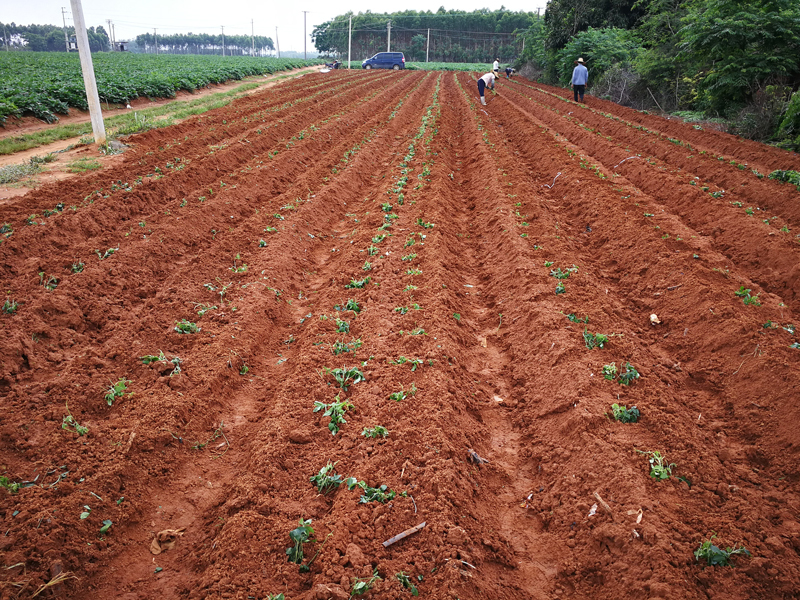 In a nutshell, it can be asserted that Jiaogulan is actually similar to ginseng on steroids. You must always make use of the best quality water. This will be either tap water or even bottled water which has been passed through a top-notch filter. The water has to be heated to a temperature of approximately 90C. After this, we need to add approximately a couple of teaspoons of dry Jiaogulan tea leaf to a cup containing approximately 250 ml of water. Make it a point to add an additional teaspoon of tea in case you are brewing in a pot. Let the tea steep for approximately 10 minutes. After that, it can be left like that for a couple of hours in order to extract the optimum concentration of saponins. 5. Enjoy ! It is time to enjoy your scrumptious cup of tea. While brewing this tea it is important to comprehend the fact that it has got a taste which can’t be altered easily. Also, it is possible to make your tea quite strong by increasing the time of brewing. It is advisable not to make use of unfiltered tap water while brewing and instead, use pure water so that there is no alteration of the taste ? You ought to be aware of the fact that it is possible to brew this tea for a long time since unlike the other types of tea on the market Jiaogulan is not going to taste bitter in spite of steeping it for quite some time. Actually, there is no need of adding any artificial sweeteners to Jiaogulan in order to enhance its taste. However, it does not imply that the tea can be brewed for ages. If over brewed, it can become quite bitter in the long run.